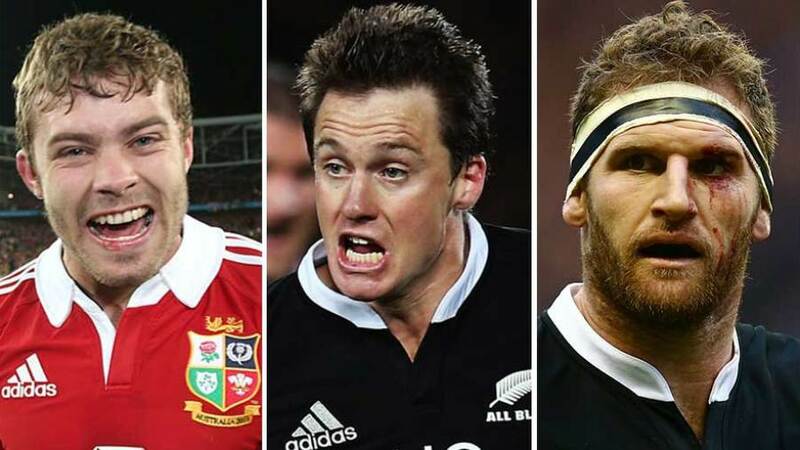 Kieran Read, Ben Smith and Leigh Halfpenny will face off for the inaugural rugby players' player of the year award, after the International Rugby Players Association (IRPA) released their shortlist of finalists. The trio also feature among the finalists in the long-established International Rugby Board player of the year award, with both winners to be announced next week. Read is a strong favourite to take out both awards after a series of stellar performances for the All Blacks during their unbeaten 14-Test year, scoring six tries in 13 Tests, developing his attacking game, and assuming the captaincy in Richie McCaw's frequent absences. Smith, meanwhile, proved a revelation in scoring 11 tries in 14 games - 10 of them on the wing before switching to centre for the end-of-year tour of Europe, and Halfpenny was outstanding as player of the tournament in Wales' Six Nations success before playing a key role in the British & Irish Lions' series victory over the Wallabies. The IRPA awards will also announce a World XV of the Year and a Team of the Year, with other awards celebrating the fans' player of the year and World XV.